The Dream Series Hot Tubs by Crown Spas is a line of premium custom hot tubs designed and built right here in Manitoba and specifically engineered for our harsh climate and extreme temperature swings. You can choose from several different shapes, sizes and seating configurations with limitless feature options to tailor your spa to your desires. 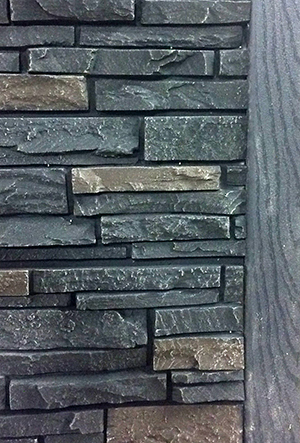 Using unique materials such as exotic hardwoods imported from Brazil and faux rock sidings, we can design and create a feature piece in your yard or design a tub to blend in with your existing deck or landscape. Let us work with you to build your Dream Spa. Crown Spas is proud to partner with the Dream Factory to raise funds and awareness in support of children battling life threatening illnesses. With each sale of a Dream Series Spa a portion of the proceeds will be donated to help a child’s special dream come true. 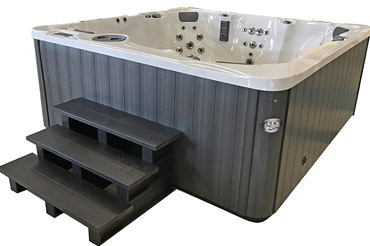 Every Dream Series hot tub is built using only quality materials and components with an unrivaled combination of durability and craftsmanship which makes these hot tubs among the best built hot tubs in the world. The frames are built with ACQ green treated lumber with every end being retreated after cutting, all frames are glued and screwed together using only stainless steel hardware. The cabinets are insulated with multilayered ThermalLock insulation. 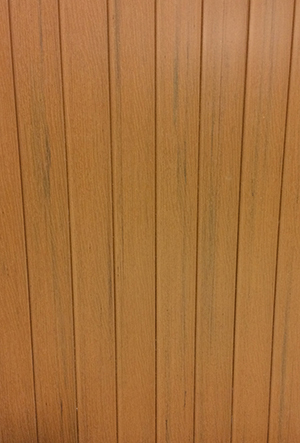 We combine a high density spray foam in fixed areas of the cabinet, and removable high density foil covered insulation panels that reflect heat back into the cabinet. These insulated removable panels are attached around the perimeter of the tub. 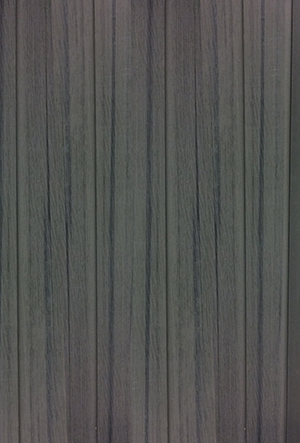 The multiple layers of “dead air space” acts similar to tri-pane windows to create an insulation system that exceeds even the highest standards. Can you feel the relaxation yet ? The plumbing lines are installed towards the outside of the cabinet AFTER the frame is attached to the tub. This method allows accessibility to 100% of the plumbing and equipment. The smaller airlines and waterlines are glued AND clamped to ensure years of trouble free enjoyment. We have been using this method for over 15 years and still to this day we have not had a leak from one of these joints! We know this is a long term investment and we have built it with the long term in mind—there probably isn’t a more accessible or serviceable hot tub made today. 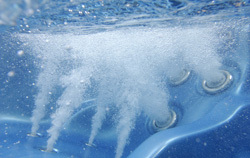 Pumps and motors and all major equipment are plumbed with reliable ball valves for service and isolation so you don’t have to drain your hot tub for routine service. Vibration dampening pads are placed under every pump to keep the tub running nice and quiet. These are just some of the extra steps we take in manufacturing each Dream Series Hot Tub—and why we consider our custom hot tubs to be one of the best built hot tubs in the world! As a lot of you know we at Crown Spas & Pools are the only hot tub store in Manitoba who still build our own custom hot tubs. For the next couple weeks we will be posting short videos from the beginning to the end of just how we build them. We are now installing the jet bodies, this is an important step to making sure you get the most relaxing massage therapy. Onto building the frame, once the sturdy frame is complete the hot tub shell will be placed inside, then let the plumbing begin! All the plumbing is almost complete! Just a couple final touches and she'll be ready to wet test! 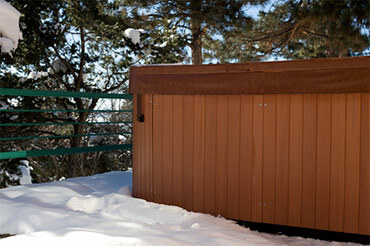 At Crown Spas our expert staff works with you from start to finish in the design of your custom built hot tub. From the initial visit where we take the time to find the model that is the absolute best fit for you, right through to the delivery and set up process, we are there with you every step of the way. We start with the fitting process where we dry test and walk you through the differences between the models, ensuring the tub suits your specific height, body type and discuss any special requests you may have. We believe fit and comfort trumps all when choosing the right hot tub, so we strongly encourage all of our potential customers to spend the time to start with this step. Once the right model is chosen, we move on to the hydrotherapy package and options. Because these models are built one at a time, we can customize plumbing and jet configurations to provide the type of massage you desire. Whether you want a soft and subtle massage, or a hard and deep massage, or even if you want a little bit of both, we can manipulate the pumps, jets and plumbing to do just that. Starting from a simple single pump with as few as 28 jets up to the most elaborate packages with up to 4 pumps and 80 jets the options are almost limitless. Let’s design the perfect hot tub for you and your family! 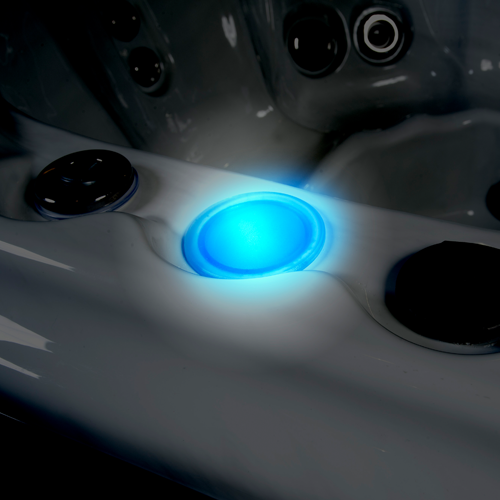 Every hot tub model is equipped with an advanced custom therapeutic jet system offering powerful jet action in a beautiful stainless Crown Series jetting offering unique calibration for your personal choice of deep or soft massage. 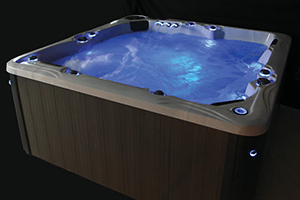 Individual air controls for each zone in the hot tub adjust jet pressure with a precise mix of air and water. Many jets are adjustable offering an amazing array of effective hydrotherapy options. Unlike foam-filled units which hide manufacturing defects and make servicing expensive, the sophisticated engineering of our ThermalLock™ system keeps the spa lightweight, economical to own and operate. 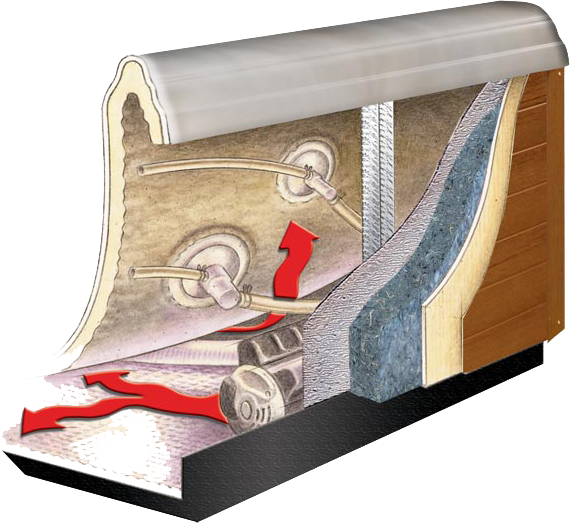 The ThermalLock™ insulation system provides maximum energy savings. The use of a strong fiberglass, non-filled resin backing with an insulating foam coating provides maximum strength and efficiency. Waste heat from pump operation warms the air cavity behind the cabinet and is radiated and absorbed back into the spa plumbing. Warmed air is trapped between our insulated floor panel and cabinet top gasket creating efficient thermos air tight insulation. 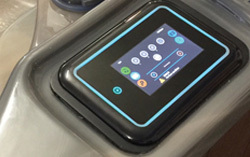 Easy to use, install and built to last, the in.clear™ is one of the most efficient water sanitization systems offered to the spa and hot tub industry today. The in.clear generates and releases bromine into the spa water, rapidly destroying any microbiological contaminants such as water borne bacteria, algae, and organic matter given off by spa bathers. 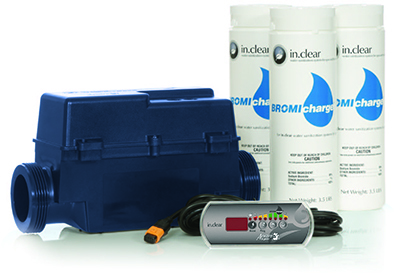 The in.clear system eliminates the need to add bromine or chlorine to your spa on a regular basis and requires very little maintenance. The in.clear system oxidizes odors, reduces eye irritation, and is easy to use. 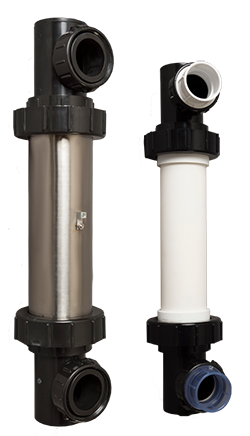 The Delta UV® Disinfection System provides a water treatment solution that is safe, healthy and environmentally friendly. 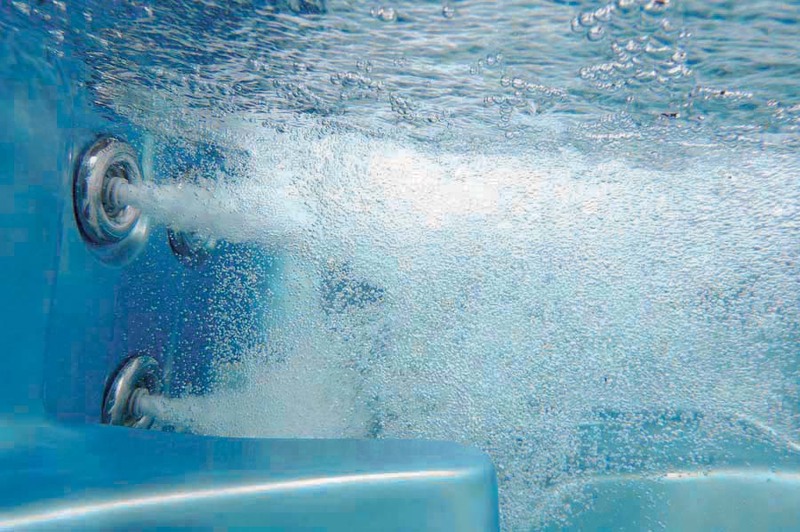 The Delta UV® EA Series is a disinfection system designed for spas and hot tubs. The EA series offers a safer spa experience for your family, friends and the environment. UV light helps to destroy algae, viruses and microorganisms without adding additional chemicals. Installing a UV system reduces chemical usage and breaks down chlorine by-products called chloramines. Chloramine exposure commonly leads to stinging (red) eyes, skin irritations, asthma and allergies. Sizing your UV system is important and based on the flowrate. Models in this series range from 16 – 47 gallons per minute. 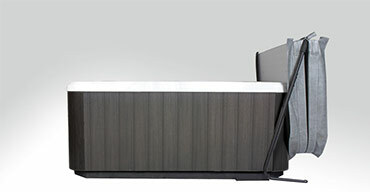 The EA series can be adapted to most existing spas. DEL’s ozone systems provide clean, clear, and safe water for your spa as well as a significant reduction in chemical use. 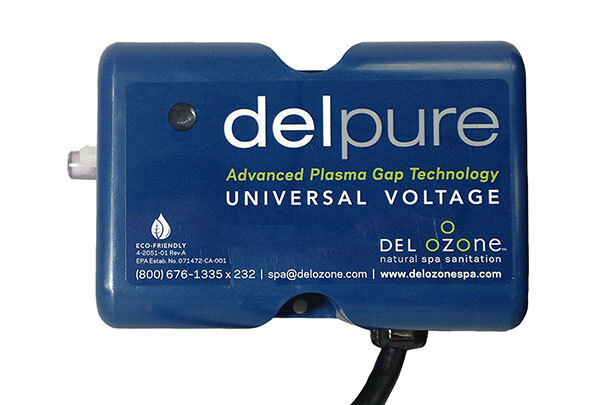 Featuring DEL’s exclusive Advanced Plasma Gap (APG) technology, the ozone systems provide modern technology, high performance, and unsurpassed life expectancy. 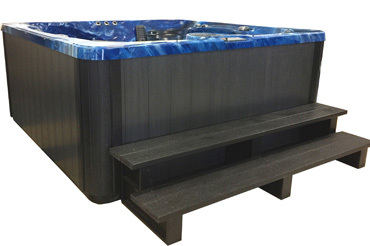 Exclusive to the Dream Series hot tub models are designer custom cabinet options. Choose from our standard Highwood synthetic cabinets or have us design a custom cabinet to blend with your own landscape and surroundings. Handcrafted to compliment your cabinets, our custom hot tub and swim spa steps offer safety and good looks completing your backyard oasis. Relax knowing our sturdy construction will provide years of reliability and convenience to your hot water relaxation. The optimum in hot tub lighting, this optional Dream Series feature adds Waterline LED lighting combined with LED lit cup holders, air controls, and water features setting the topside aglow with warm color. Custom exterior cabinet lighting options are also available. Features an easy to read LCD screen, controlling water temperature, pump operation, lighting features, clock settings, filter cycles, Air’assage™ and more. Optional on all Luxury and Premium Series spa models, delivers remote spa operation thanks to the internet. Turn any feature on and off, adjust temperature, change filtration modes, set customized themes – all controlled from your smart phone, tablet through an app. Anywhere there’s an internet connection, there’s hot tub control. *Free local connection app. Worldwide connectivity requires modest cost app purchase. Unlike deep tissue hydrotherapy, the optional Air’assage™ feature delivers soothing massage action with oxygen filled bubbles for comfort and healing. With Air’assage™, tiny oxygen-laden bubbles fill the hot tub delivering all the benefits of oxygen from boosting skin cell rejuvenation for a younger looking you to renewed energy levels. 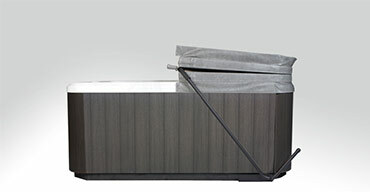 The Dream Series hot tub models feature a full-length hinge heat seal, 4″ sloped foam core and locking straps—keeping your hot tub operating efficiently and economically. 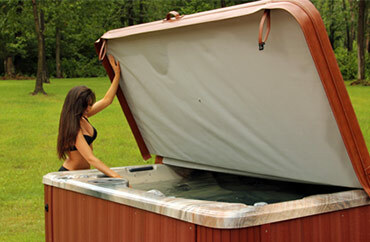 Make opening and closing of your new hot tub cover effortless. Simple fold the cover in half and the lifter assists in positioning it neatly behind the cabinet. With ease, replace the cover back onto the hot tub, close flat and secure the latches.